The City of Philadelphia is profiting from climate change. Millions of dollars of our tax money is invested in companies selling oil, gas and coal. We don’t fault the city for this. It’s the way business has always been done. But now, as the climate crisis grows ever-more severe, it is the moral obligation of city officials to end this association. We know that a Philadelphia divestment campaign won’t hurt the fossil fuel companies enough to halt climate change. That requires more than any single campaign can accomplish. What we need is a mass movement for climate justice–think the Civil Rights Movement, or the Women’s Suffrage Movement. Participants in the Civil Rights Movement didn’t start out by campaigning for the Civil Rights Act. They started by fighting to desegregating schools and lunch counters. As the small-scale fights won attention, and participation increased, people started to believe that bigger-scale change was possible. And once enough people believed, it was possible! This is what divestment does. The genius of divestment, as a strategy to build a mass movement, is that it brings the overwhelmingly large and complicated issue of climate change to a local level. It gets thousands of Philadelphians involved in a fight they can win. Divestment isn’t just the moral thing to do. It also changes the story. Divestment identifies the true opponents of climate justice: the fossil fuel industry. These companies are wrecking our civilization to make a buck, and their money prevents change by corrupting our political system. When universities, churches, and cities divest, it sends a message to our community and to our elected leaders that the fossil fuel industry is not a legitimate player in our society or our politics. If the public doesn’t see these companies as legitimate, it will be easier to put them out of business later. 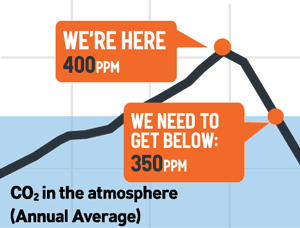 We won’t stop climate change without also confronting our society’s economic inequalities and entrenched racism. Indigenous folks and communities of color across the country are using the term “just transition” to describe a new energy and food system that is also racially and economically just. Enacting the just transition is a central challenge of our time. That’s why, here in Philadelphia, we want to write a new chapter in the divestment story by building a reinvestment coalition for a just transition. Philadelphians want local food, sustainable energy, and socially responsible small businesses. These community-scale projects have the potential to employ thousands of people in good jobs, especially people in economically disadvantaged areas. The City of Philadelphia ought to be investing in these projects–not in fossil fuels. We can make this happen by uniting with those who stand to benefit from a shift in investment priorities. 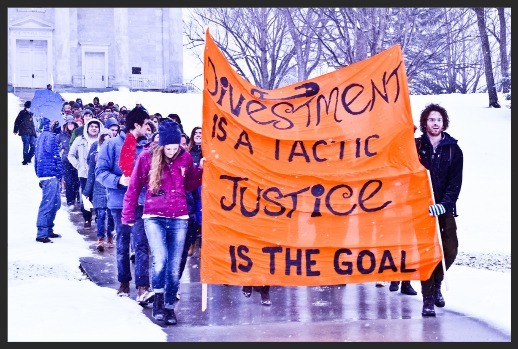 Across the country, divestment supporters have begun to talk more about reinvestment. It just makes sense. But nobody has built a true reinvestment campaign. If we can do this in Philadelphia, it will be a model for the rest of the country. Please join us in this fight. Together we can build a movement for a better Philadelphia, a livable planet, and a just future.